Land Rover is hoping to encourage more young women to enter a career in engineering, with the launch of its Range Rover Evoque WISE Scholarship. The program - which will include a £9000 bursary - and is open to any woman who has arranged an engineering based apprenticeship or has a confirmed place on a higher education engineering course. 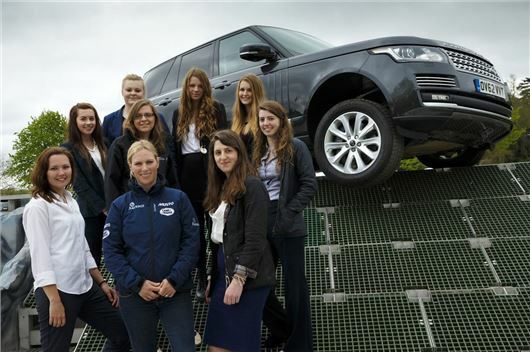 At present, just 13 per cent of the engineering workforce is female and it’s hoped that the Land Rover scholarship will encourage more women to enter the industry. The program will be run in conjunction with WISE – an organisation dedicated to equalling the gender balance in science and engineering. According to a report published by EngineeringUK, Britain needs to double the number of engineering graduates and triple the number of engineering apprentices by 2020 to meet industry needs. The deadline for scholarship applications closes on 21 August and the winners will be provided with mentoring support from both Land Rover senior engineers and WISE representatives.